Not all shampoos are created equal. Although some things might be very obvious, such as not using a shampoo for dry hair if you have oily hair, it’s also plain to see that there’s an overabundance of shampoo options out there that it could very tough to pick the right shampoo for you. With that said, from curly to straight and damaged hair, below are expert suggestions on what shampoo will be right for your specific hair type. Choose a volumizing shampoo. Oil could very easily weigh down fine, straight hair, so a shampoo that volumizes your locks is your best bet. Your main aim is to keep it as clean for as long as possible to maintain volume and nourish your scalp so that it won’t produce too much oil. Pick a shampoo with a rich lather so that you won’t need to use as much product and a rich and creamy conditioner that can penetrate and soften your hair and scalp. For dry and coarse hair, you need to hydrate and moisturize it with a shampoo with ample moisturizing power and one that’s preferably free of sulfates and other drying chemicals. You should then follow it up with a conditioning hair mask in order to keep it soft and more manageable. Try products such as the Mineral Hair Mask from Kedma Skincare, which is enriched with jojoba oil, Dead Sea minerals, natural oils, and vitamin A. This deep conditioning hair mask effectively strengthens your locks and keeps it healthy, bouncy, and soft. 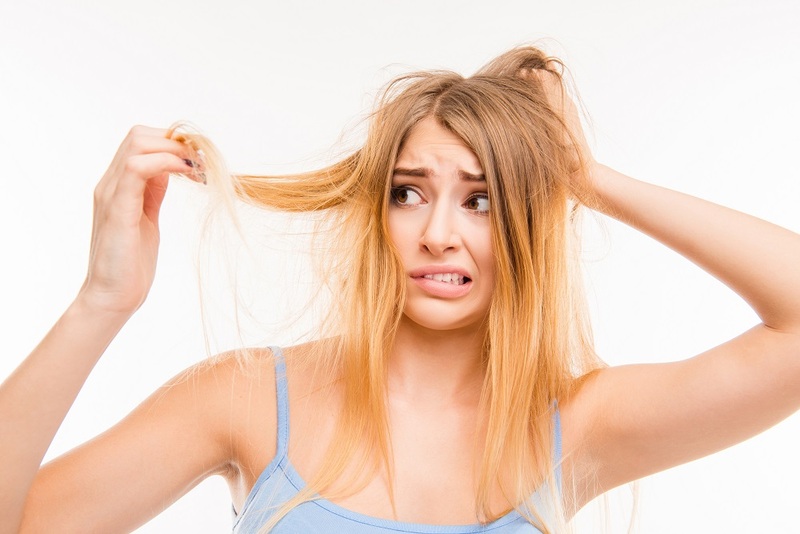 People with oily hair more often than not are guilty of overwashing their hair, not using conditioner, and using shampoos that strip the natural oils from their hair. These in turn result in drying out the scalp, so it overcompensates by overproducing oil. To keep your scalp from overreacting, try to reset your hair washing routine for a week. Start by only washing your hair every other day, shampooing it on day one and rinsing and conditioning only on day two, and so on. If you feel that your scalp is once again healthy, you can then use a balancing or purifying shampoo plus a conditioner thrice weekly at the most. When you have damaged and brittle hair, you have to take extra measures to care for your mane to avoid drying it out further. Use a strengthening shampoo two times a week at most followed by a hair repair mask rather than your typical conditioner. This condition is due to yeast overgrowth that results in skin inflammation, overproduction of oil, and increased cellular turnover, which in turn leads to the formation of those white itchy flakes. Opt for a shampoo with ingredients specifically used for fighting dandruff. It’s also vital to note that you should give any adjustments to your hair washing routine a month at least to see whether it’s working for you. This will give your locks and scalp some time to adjust to your new routine, and if the results are positive, keep at it!